Every Thursday on the blog instead of doing a typical "throwback Thursday" I've decided to bring a whole new feature called "Rare Footage". Taking it way back, I'll be posting rare footage of performances, interviews and maybe even slip in photos once or twice. We'll see how this goes! This week I'm kicking it off with a personal favourite performance/song of mine - Total performing their hit single ‘Can't You See’. Total took to the stage to perform alongside label-mate, rapper Notorious B.I.G. on BET's Video Soul back in 1995. 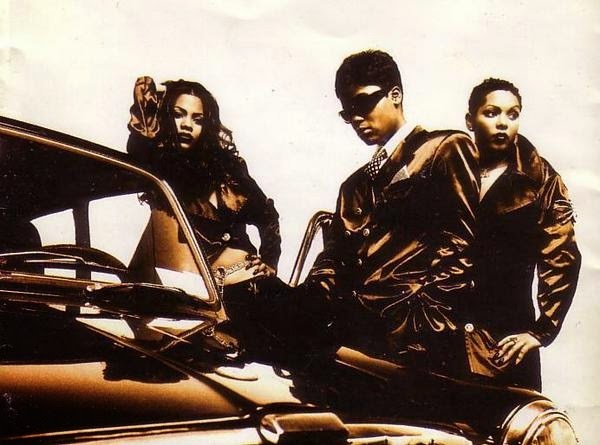 Kima, Keisha and Pam are all seen wearing leather outfits, knee-high boots and shades in the footage - true 90's swag, and showed off their harmonies in the 5-minute-performance video. The group who had success with ‘Can't You See’ and ‘Trippin'’ featuring Missy Elliott were signature acts on the Bad Boy record label. After breaking up in 2000, the group went on with their personal lives and solo careers before forming back together in 2012 and back to touring earlier this year. I'm sure we'll hear a new single from Total within the coming months or new year, but until that happens, enjoy this rare footage of them performing ‘Can't You See’ below.